From the second half of the last century, in-depth anthropological and historical-religious studies, on the “ecstatic” techniques and religions, have focused on the rare relation between music and non ordinary states of conscience. with the term conscience we refer to a subjective state of consciousness of a psychological sensations (thoughts, feelings, emotions) and physical ones (touch, hearing, sight) which are typical feature of a human being and everything happening around it. The consciousness of ourselves and the environment are structured thanks to a group of psycho-physiological functions such as perception, memory, attention, the storage and the elaboration of information. Each function depends on each other and is controlled by brain. So conscience is a process only depending on the activity of our bodies. In some non-western cultures the conscience is considered as a metaphysical, not well expressed spiritual essence which is separated from body and the laws of physics; it is provided with a characteristic autonomy and it is compared to soul. the subjectivity of conscience is due to the fact that everybody has got his own manners of referring to his experience and this modality depends above all on a determined cultural style of belonging. The conscious experience of every man is formed by numberless quality states: colours, odours, flavours, tactile, proprioceptive sensations; there are also pleasures, emotions and various moods. all these sensations are real and indubitable, we don’t know how the conscience is related to the reality around us, the reality discovered and showed by the physical laws. In the philosophical field, the term conscience has various meanings. primarily it is synonymous of inwardness with a strong moral connotation, as it was said by Socrates, Austin and Kant. Secondly, particularly from the xvii century with Cartesius, the conscience has been being the same as the subjective self-consciousness and the self-mental states. Cartesius distinguishes the reality in two different substances: res extensa and res cogitans. The res extensa is the material world that has not self-consciousness, knowable through the means of the natural mathematical science; the real determined world where corps and objects take up a certain room and live in a certain temporality. The res cogitans is the heavy substance, the conscience without space and temporal dimension. Cartesius distinguishes body from mind and gives a great value to the introspective activity which is characteristic of this last. The material world and the body are governed by the sense, but senses deceive and they are false. For this reason the subject identity coincides with the thought before than corporeity. The body dies, the soul instead, since it is a spiritual element, survives. In the modern philosophy, started by Cartesius, the conscience means “subjective self-consciousness” and consciousness of the self mental processes. we can be sure only of ourselves since we are conscience. All the rest falls into the corrosive criticism of the doubt. One of the most interesting elaboration of the contemporary philosophy is the phenomenology by Husserl. Even though he starts from the conscience traditionally understood (namely as a self-introspection of lived experiences), he gets from the scholastic philosophy the concept of intentionality, asserting that it is “conscience of”, that the relation with the other is essential for it and that the relation with the thing is a relation of logical-transcendental and non-psychological kind. The cognitive science have allowed to acquire a better comprehension of the human behaviour and the subordinate processes guiding it; conscience seems to escape the physical, chemical and biological laws. The transit from a state of conscience to an other is called “trance”, an English replacement of the term “transe” deriving from the latin “transire” meaning to transit over. In spite of the attribution of many qualities of supernatural nature, trance is a natural phenomenon and represents a psychophysiological state where the subject has got an altered perception of his own body and the surroundings world. An example of natural trance, which is known by every man, is the act of falling asleep. While we fall asleep our bodies keep relaxed and still for a long time preventing our brains from receiving the sensations of the touch and the movement and that causes the loss of our bodies consciousness. Other kinds of trance, as the hypnotic or ecstatic one, have got similar characteristics and they are induced by subjecting our bodies to the same conditions, such as the immobility, the deprivation, or the sensory “bombing”, that is every strength able to modify the awareness of oneself and the environment. 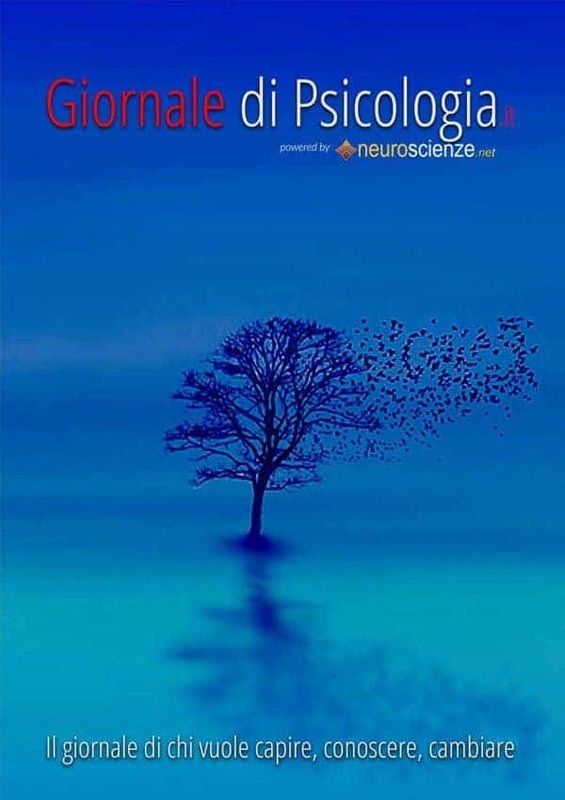 The debate on the ASC (Altered States of Consciousness) is spread in neurophysiological psychoanthropological and ethnopsychiatric fields, on the contrary the ethno-musicology has helped in the more specific question of the music potentiality in the induction of ecstatic conditions or trance. Gilbert Rouget, in his famous essay “Music and Trance” (1980) has suggested a classification of the various phenomena and he has formulated exact hypothesis on the respective role that music, dance, rite and therapeutic objectives play in the “strange mechanism” of possession rites. The music infusing the state of trance in the possession rites is produced by the union of voice and instruments, even if the relative importance of these two components changes depending on the cults and the execution modality of the rites. The possession music instruments can be divided into two categories, melodic and rhythmic, depending on the role they have. the drum has a particular role, which can have both functions and can substitute even the sing resulting, in this way, the most used instruments. The rhythmical aspect of the possession music has two main characteristics: the frequent metrical changes and the time acceleration to which is often accompanied an increasing of sound and dynamics. The relation between music and non ordinary conscience states characterized the rites with a therapeutic and religious background of various traditional cultures and societies and can be traced back to two aspects: shamanism and possession. They show two very different trance ideologies that correspond to two different uses of music. Three aspects differentiate the two practices: 1) with the shamanism we are in front of a journey of the man among the spirits, instead with the possession we are in front of a visit of a spirit among men; 2) in the first case the subjects in trance dominates the spirit which becomes embodies in him, in the second case it is the contrary; 3) the former is a voluntary trance, the latter is involuntary. Whereas in the shamanism there are active relationships between the subject in trance and the music, in the possession there are passive relationships and only when man passes from the state of initiate to the officiant one the relationships become more active. The shaman, since the initiation moment, is an active musician actor, master of his entrance in trance and doesn’t depend on other participants who play or sing for him. the possessed, instead, is never the musician of his own trance. Among the African possession cults that of the Tsonga of Mozambique is particularly fascinating. The Tsonga girls in order to pass in the society of adult women must be submitted to an initiatory rite called khomba. during this rite an hallucinagen agent is used, the mondzo identified with the psychoactive plant Datura fastuosa L. (Datura metel var. fastuosa, fam Solanaceae). Johnston (1977) has pointed out the importance of the drum sounds rhythmic rapidity in the intensification of the auditive and psychological effects of the psychoactive agent. During each khomba rite the drum player beats a specific rhythm for that rite, at high volume and holding the drum near the beginners’ ears. The rhythms have a high frequency, they reach and sometimes go over 8 accents a second; they reach the alfa waves frequency (8-13 beatings a second), that represent the human base brain waves. Polyrhythms are often used through simultaneous sound of the drum and the clapping hands that further contribute to tha datura effects intensification. Among the Tsonga the datura (mondzo) is used during esoteric rites too (mancomane) in the case of possession by spiteful spirits. The possessed individual is put under a blanket, where the datura is burnt on some embers. breathing the smoke, the possessed utters melodic sounds, from which the exorcist diagnoses the kind of spirit possessed by the patient, and which will be driven away from his body by playing the drum with a specific rhythm for that spirit. In Italy there is a practise too, through the music is used to heal the possessed spirit: that’s the apulian tarantism. The musical instruments played in the “pizzica tarantata” are the tamburine, the accordion, the violin and the dance is the famous tarantella. the possessed, almost always female, begins to dance slowly miming a fight with the spider , then faster and faster and in a frenetic way till he loses the senses and falls into the ground. this way of “bringing beside oneself” through music and dance, the self-being profound content and the evils of the soul, becomes really therapeutic. With regard to this argument, Erika Bourghignon maintains that there are two great possession rites categories: those without therapeutic aims, such as the “arixas” cult and those of “vodun” in west Africa, such as the Haiti Voudu and those of possession with therapeutic aims among which the corybantism of the old Greeks, the Ethiopia’s zar, the Nigerian “bori”, the ndop wolof (Senegal), the Tunisian “stambali”, the Maroccan “derdeba”, the tarantism in south Italy. In the old Greece “corybant” were called at the same time the geniuses associated to the Great Mother of Asia (Cybele), the priests of this deity and men and women therapists, who treated the “victims” of the corybants through a specific ritual spell. This ritual spell included: a musical analysis, a sacrifice offered by every patient to the deity and a dance to which shared those who had supported the sacrifice and to whom appeared the deities that probably shared the rite. The musical analysis that aims to identify the corybant, thought to be the ground of the trouble, consists in listening by these possessed people musical formulas that rouget describes in terms of “devises”, an element that indicates the combination of a short melodic formula with a rhythm and specific words. By listening one of these devises the possessed individual falls into a trance finding “gestures and words” that correspond to the god or the “genius” which shows itself and can be so identified. – the Greeks of the corybantism used above all the “Aulos” (it was not a flute but a tongue instrument like the clarinet, the oboe) and also the crotali and the frame tamburines. – In the phase of the musical diagnostics, music acted not through emotive results, but like a code, a devise. – In the public rite of the ritualized possession, with dance and trance, music had a complementary function that we can still observe in other rites: music introduced in the confusion of the initial wild possession an order representing, according to plato, the cosmic order and that, according to Rouget, is that of the society. The ancient world even offers us examples of the mystic power of music; let’s think of the greek myth of Orpheus, poet and musician “par exelence”, the thracian poet, the king Eagro and the Calliope’s son. With the music and singing sweetness, he was able to domesticate wild beasts, to move stones to get plants to dance. He received, as a gift, a lyre from the god Apollo and that underlines the mystic feature of music as a way of adoring gods. In the classic tradition the god of inebriation, above all others, is Dionysus. He showed himself to believers as an “other” life god, since he caused a “going out of himself”. The dionysiac dithyramb is marked by the flute “inciting to mania”; in the dionysiac rite the achievement of the ecstatic state is provoked by the monotony of acclamations and the insistent rhythm of music. A phenomenon with particularly similar features can be noticed by analysing the characters and the purposes of the trance musical current which is especially clear in the Anglo-American sphere. In the vase and statuary iconography the god appears with wind and percussion instruments such as flutes, castanets and kettledrums. The flute was considered able to rouse psychological states of excitement. The kettledrum was a kind of little drum consisted of a wooden circle on which a bull skin, one of the symbol animals of the god. The legend tells that the kettledrum was invented by Corybants and then was used by Dionysius. The kettledrums were played by the Bacchantes who raised them on their head, in the same way it is seen in the vase painting. nevertheless, they were not considered belonged to the Greek musical tradition, since they came from the Asiatic regions. Because of the spreading of kettledrums and drums in the ecstatic cults, a neuro-psychological effect of tam tam on the human hearing is been thought: a kind of a sound drug able to cause trance automatically. The relations between flute sound and madness were also studied in the field of medicine. According to Plato flute melodies “are able in themselves to carry souls to delirium”, because of their divine power (Simposio, 215 c); according to Aristotele the flute has got the power to produce “enthusiasm” (politica,1342 b) but the flute and the kuttledrums weren’t the only instruments able to cause ecstatic deliriums: Dionysus uses string instruments too, such as “barbito”, cither and lyre. The Trance Dance is a very ancient practice of recovery and transformation; it doesn’t belong to a specific culture but has been existing in different kinds in every part of the world for 35.000 a years or more. In this practise the trance is caused by a particular way of breathing by turning around themselves and then following the rhythm of drums in the used music. A bandana is worn, it prevents the sight, that is the most important sense which we normally use in order to get into contact with the outside and to keep situations under control. Besides blindness incites the growth of other perception abilities which aren’t normally used. The Trance Dance music is characterised by very low sonorities that, according to beliefs, have the feature to wake earthly energy in our bodies. In this particular situation, with regard to percussion, the scientific research has underlined that the rhythms of 120 or more beatings a minute, affect our brains so that the conscience state changes. A further component of this practise is the so-called “fire breathing” consisting of two inspirations through nose in rapid sequences and one breathing out through mouth. This mechanics helps the access to the trance state since the olfactory bulb is linked directly to brain and the two rapid inspirations cause an hyperoxygenation of it. The importance of the breathing, and so of the oxygen bringing to the brain in the trance induction, is confirmed by the natives musical tradition. To play the didgeridoo, a musical “natural” instrument from north-Australia and used for 15.000 years, the circular breathing technique allows the player to breath out through the mouth, producing a continuous sound. The sound that this instrument produces is deep and hypnotic. The native players fall often into a trance during the execution because of the repetitive rhythms and the hyperoxygenation due to the circular breathing. The meditative state allowing to create a resonant surroundings that helps to get into contact with the deepest ego, giving a sensation of total harmonic blending, is obtained when, in mental and physical relaxation conditions, the electromagnetic waves continually given out by brain pass from the typical waking state frequency or the so-called “beta rhythm” of 13-39 cycles a second, to the better-balanced “alpha level” of 8-12 cycles a second. The musictherapy researchers have showed that a boring percussion rhythm makes easier this change. Not all music are able to infuse a trance state and only if the rhythm and the repetitiveness are expressed as vibrational harmony they can lead to the hypnosis universe. the fundamental waves unpleasant overlapping, acoustic phenomenon defined generally noise, above all if it is intense and prolonged, doesn’t infuse hypnotic ecstasies. In many different cultural systems the trance is reached by ingesting psychoactive substances that are very used in the western world among young people in discos. in the trendy discos the music is almost totally formed by “tracks” (non melodic traces of samples rhythms) rising on low frequencies (from 20 to 150 hz). The music suggested in these context can be subdivided into two main kinds: house and techno. The house music has a rhythm of 120-135 more or less beats a minute and about the 50% of the planning is made up of songs. the techno music is much faster and obsessive and about the 90% of the planning is made up of tracks. Between house and techno situations there is a significant difference: in the former the interest in the socialization prevails; in the latter the interest in conscience change prevails. in the disco the surroundings is totally full of music: volumes are very loud, the rhythm is fast and insistent, the time is subdivided and stopped by the stroboscopic lights, the heat and the high humidity create a surreal surroundings. From a neuropsychological point of view, the cortex control over the reticular substance changes; that inhibits the individual control ability both on open sensory channels (so not only the acoustic one) and on the perception and control of feelings. so the music elements (rhythm, number of beats in the unity of time, melody, sing or horizontal form, harmony talk among voices or vertical form, tone, the height of sound or note, colour, aspects of tone linked to the difference among the instruments) are strengthen by other environmental, psychological and physiological factors. The music alters the plasmatic concentration of some hormones too, above all ACTH, cortisol and noradrenaline. It has been noticed that the relaxing and meditative music is associated to a cortisol and noradrenaline reduction and the pop music (is associated) to a reduction of prolactin levels. On the contrary, the classic music doesn’t affect on such concentrations, as it is from the observation of experimental subjects. ACTH and cortisol follow slightly different progresses: in fact the techno music causes an increase of both these hormones, whereas the classic music causes a reduction of them. Finally adrenaline and prolactin aren’t altered by the music listening, except a prolactin light increase (non significant from a statistical point of view) in women after the techno-music. So a positive relation among noradrenaline peaks are noticed, gh and b-endorphin, the changes of emotive state and the increase of heart frequency and systolic presure after the techno listening. The techno music seems to be able, like other music with fast rhythms, to start up the sympathetic system and the hypothalamus-hypophysis-adrenal gland axis. The music listening is accompanied to alterations of “eeg” graph too. There is usually a partial substitution of the “a” rhythm with “b”, “q” and “d” rhythms. these alterations can be checked by particular machines, called “Brain Machines”. These machines transmit, through earphones and glasses; particular frequencies to ear and eye, activating in the brain controlled reactions and visible through changes of the electroencephalographic graph. So such machines can be programmed to stimulate the “b” rhythm, in order to increase control and attention, or the “a” rhythm in order to obtain a deep relaxation, or even the “q” rhythm to solve sleep anomalies. These EEG changes continue for some hours after the treatment and also behaviour changes which are associated with them. during the evening rhythms quicken and volumes increase till they arrive to an acme, that usually happens in the possession music: that’s how the trance arises at a certain point. There are only few people being able to fall into a trance without the aid of psychoactive substances. in most of the cases this state is reached with the help of drugs, above all the MDMA. This substances causes an alteration of time perception, vision no-perception, thought changes with attention transfer to the inside and the unconscious, increase of the feelings conscience, alterations in the perception of space relations, the loss of the limit between oneself and the others. at this point, the change is finished and who dances is totally possessed by his own unconscious. Even many ravers describe their own experiences like mystic ones, they feel in harmony with the universe. At this point it’s important to underline the real difference between the trance shown in a well-coded rite and under an expert guide that gives security and approval sensations, and the trance shown in subjects in danger, and caused by the action of a chemical substance. The absence of guides can cause wrong interpretations of events and gross mistakes of evaluation (with regard to dangers, one’s skill, purposes of the others), with dangerous behaviours and extreme reactions. Many important historical personalities were familiar with the music spiritual language as a privileged means of communication with the divinity. Thinkers and philosophers such as Pitagora and Kierkegaard, musicians such as Mozart (who composed masonic music) the Russian Skryabin (who, at the beginning of the twentieth-century, was inspired by blavatsy teosophy and steiner) and many other classical musicians (such as Bach, Beethoven, Liszt…) dedicated an important part of their production to the holy music. The contemporary personalities seem to have forgotten the close relation between music and spirituality. The sufi master Hazrat Inayat Khan has written that “today the prevalent use of music for the spiritual fulfilment and the soul recovery don’t very often recur anymore. The music has become an hobby, the way of forgetting God, instead of understanding him”.